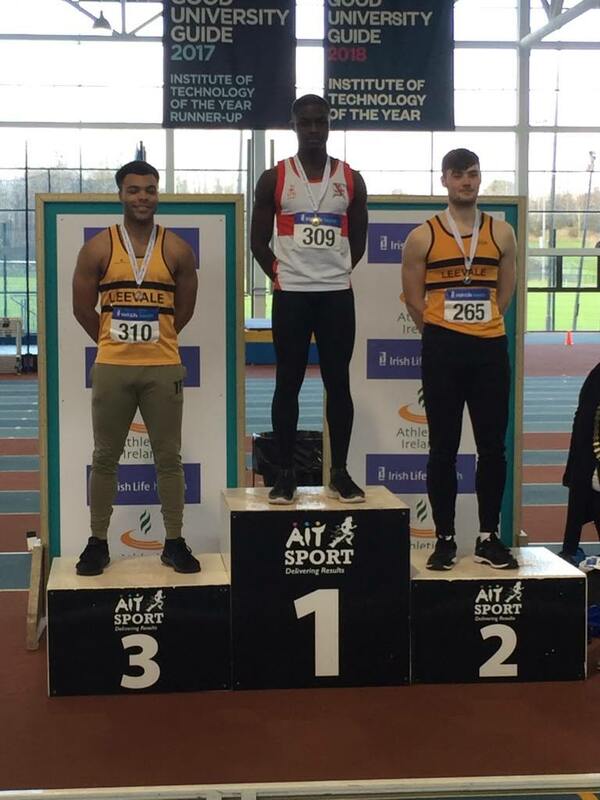 Israel a sixth year student in the college travelled to Athlone today to compete at the Irish Life Health U20 and U23 Indoor Championships. Israel was accompanied by his coach Dr. Gerry Mc Ardle and Ms. Rosie Reynolds. Israel has trained with his coach Gerry (retired Marist teacher) in Dun Dealgan AC. for the past two years. Israel who competed over 100m at the European U18 championships last Summer was in fantastic form to take the U20 gold. Israel now holds the National Youth record over 60m of 6.84 sec.